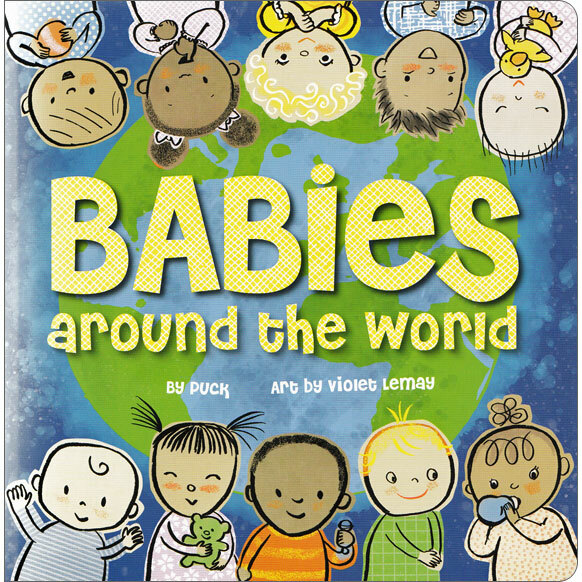 Say hello to international babies as you travel with them around the world. The journey starts on a sunny day in New York City where we say 'hello' to the babies in the picture, then set off on an around-the-world adventure to greet global babies in their own languages. 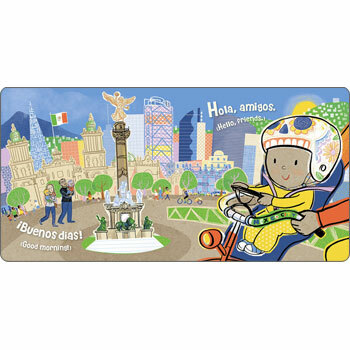 With stops in Mexico City (Spanish), Rio de Janeiro (Brazillian Portuguese), London (English), Paris (French), Cape Town (Afrikaans), Cairo (Arabic), Beijing (Mandarin), and Tokyo (Japanese), these friendly babies welcome us to their cities with a simple narration that will appeal to any global mini citizen. 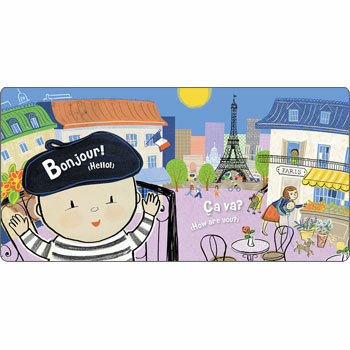 Each greeting is accompanied by an English translation, and English transliterations are used where necessary to aid correct pronuncation.